Having double glazing installed can often open a minefield of questions and concerns. Here and throughout this site, we hope we’ve managed to answer most of your questions and address any concerns that you may have. Q: What makes you at Harp so different from the rest? We NEVER engage in any high pressure sales tactics and fully respect our customers’ privacy at all times. Finally, last but by no means least, we are fully endorsed as a WHICH? Trusted Trader. Q: What sort of guarantee do you offer on your products? We offer a comprehensive ten year insurance backed guarantee on all our installed products that is administered by the Consumer Protection Association. In the unlikely event that you should have any issues with your products within this guarantee period, we’ll come out and fix them for you. Free of charge. That’s complete peace of mind for all our customers. In addition to our comprehensive guarantee, as a WHICH? Trusted Trader we can also offer all our customers the benefit of the WHICH OMBUDSMAN SERVICE. On hand to offer extra peace of mind, The WHICH Ombudsman Service provides independent dispute resolution and is free to any customer of a WHICH? Trusted Trader. It goes without saying that we hope you never have to use this service! Q: I’m very concerned about security. What reassurances can you offer me? With every window or door installed by Harp, comes the peace of mind in knowing that your home and your possessions are protected by products that are proven in their ability to withstand forced entry. Our uPVC and aluminium casement windows and residential doors, French doors and composite doors are all Secured by Design accredited. Secured by Design is a range of national Police projects committed to home security, and all accredited products have been tested to the very latest BS:PAS security standards published by the BSI. Please feel free to contact us for any further information about the security of our products. Q: I live in a period property and I’d love the benefits of double glazing, but can’t fit just normal double glazed windows because I’m in a conservation* area. What can I do? We install the Ultimate Rose sash window, virtually indistinguishable from timber sash windows, yet are top spec, maintenance free, double glazed, easy clean and high security. You even have the option of an authentic style Georgian glazing bar and arched tops. Our sash windows have been approved for the Oxhey Village Conservation area. 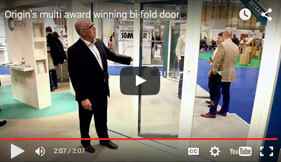 We are also official selected partners for Evolution Windows. They maintain the look and feel of traditional wood in the style of Georgian and Tudor but have all the advantages of state-of-the-art modern window technology. Handcrafted and tailor-made from only the finest materials, they offer outstanding energy saving, exceptional weather proofing and unequalled low maintenance. Our sash windows and Evolution windows have been installed in conservation areas, and are the ideal choice for the discerning homeowner who does not wish to compromise on quality or choice. *If you live in a conservation area, you may need planning permission to replace your original windows. Contact your local authority for details. Q: Can I look at some previous installations that you’ve done? Absolutely! We have many photographs that have been taken during installations and we are more than happy to email you photographs of installations in your area or that have a similar specification to your property or window type. We can also provide you with locations of recent installations which you are able to view. 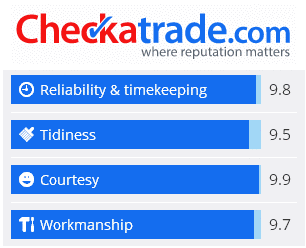 In addition, you can also see the results of our customer satisfaction surveys in our Watford showroom and see genuine up-to-date customer reviews on our Checkatrade page. Q: Do you make aluminium windows and doors? We manufacture windows and doors using the market leading Aluk System which is installed direct into brickwork. Q: Are your windows energy efficient? Yes! Our Rehau Total 70c uPVC casement windows are available with an A+ rating as standard. Evolution windows are also A+ rated and our Ultimate Rose box sashes are A rated. Your quote/contract should always clearly state what energy rating your products are, but we are happy to clarify in all instances. Q: What does this rating actually mean? Contribute to improved sound insulation. Q: How long will it take for my windows/doors to be installed? For standard installations we usually quote a lead time of around 6 weeks. However in reality, installation can often be quicker than this, it depends on the time of year and our current workload. If a customer needs their installation completed by a certain time, we will always do everything we can to ensure that takes place. Q: I wanted timber windows but they are so expensive! What is your timber alternative window? Traditional style handles and peg stays complete the authentic look. You can see examples of our Evolution installations in our gallery, or come and see our display windows in our showroom and appreciate the difference for yourself. Q: What sash windows do you do? Our Ultimate Rose window has been carefully designed with authentic sash details and the result is a class-leading window with woodgrain finishes, industry-leading slim sightlines, putty-effect glass lines, timber style mechanical joints and fully run-through sash horns. Features like these make all the difference, and many find it hard to spot the difference between the Ultimate Rose sash window and a traditional timber sash. As well as being virtually indistinguishable from real timber, the Rose Collection offers many advantages over timber, including increased thermal and acoustic performance, ease of operation, and low maintenance. Q: I’d like someone to give me a quote but don’t want to be hassled with high pressure sales or annoying salesmen! Please don’t worry, we never engage in these tactics. We spend around 30-40 minutes with you, discussing your options and measuring up; we will then provide you with a quotation. We don’t keep ringing you up or hounding you for a decision and we fully respect your privacy at all times. That’s a promise. Q: Who will fit my windows? Do you have your own teams of fitters or do you subcontract? We don’t subcontract; we have our own teams of fitters who have been with us for many years now. They will treat you and your home with both courtesy and respect and will even clean up after themselves. We receive a lot of complimentary feedback about our fitters, see our testimonials page to see what our customers have said. Q: What happens if I have a problem after installation? Simply give us a call and we’ll send out our service engineer to rectify it for you. If you’re within your ten year guarantee period there will be no charge for this service. As a WHICH Trusted Trader, we also offer a clear and transparent complaints procedure – we hope you will never have to use this of course! In the highly unlikely event that we are unable to resolve your complaint using our own complaints procedure, as a Which? Trusted trader we use Ombudsman Services Ltd for dispute resolution. If your question hasn’t been answered here, please do not hesitate to contact us – we’re here to help!